Are you like me? Do you have foods that really weren’t anything that appealed to you as a kid, that now you can’t imagine why? 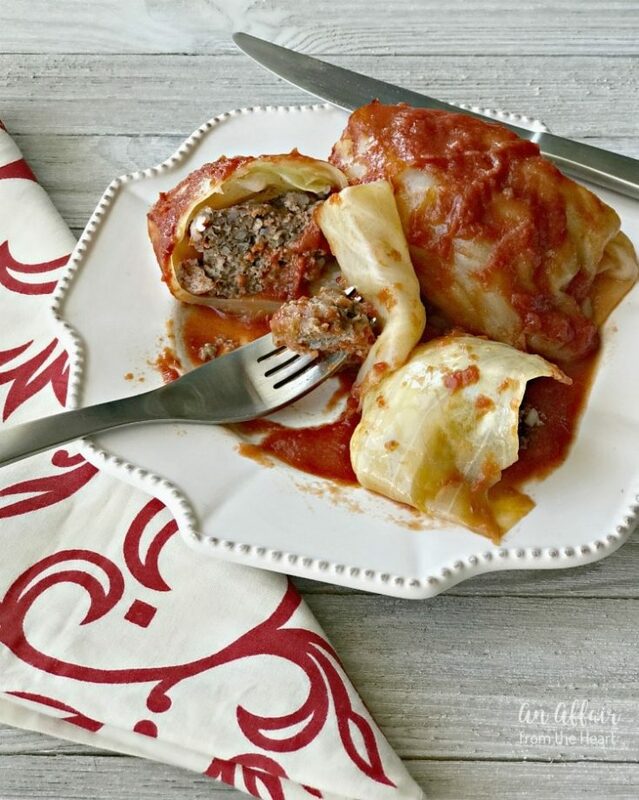 These Stuffed Cabbage Rolls are one of those things for me. Cabbage in general, really. Not sure what it was when I was a kid? Maybe my mom didn’t make it enough? It just wasn’t my favorite. Typically she would make it like twice a year, once in these cabbage rolls, and again for St. Patrick’s Day when she made Corned Beef and Cabbage. My husband’s family, however, ate cabbage all the time! My Mother-in-Law is a great cook, and she makes cabbage as a side dish all the time. It always accompanies her super yummy pot roast. It took me 21 years of marriage to actually make these for my husband and our kids. Now, we have them quite a bit. 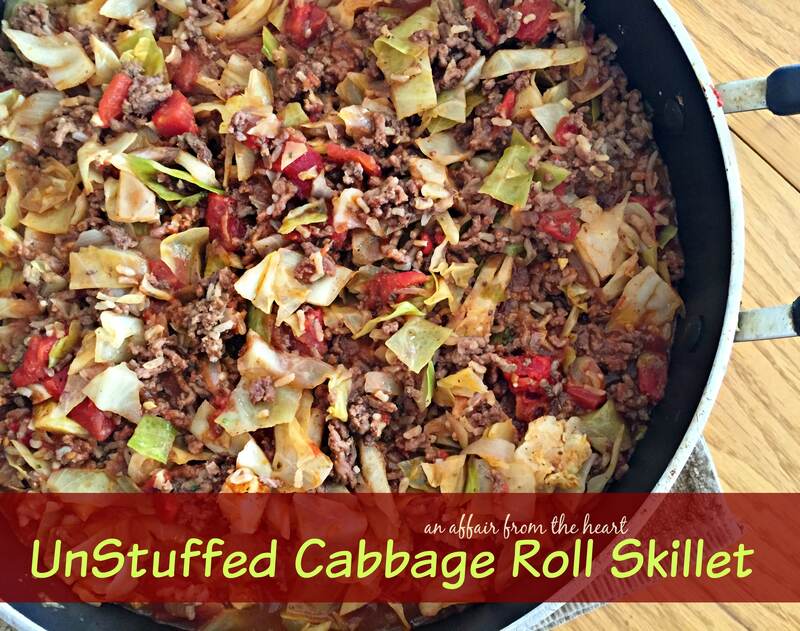 Unless I am in a rush, then I skip all of the rolling and stuffing and make my Unstuffed Cabbage Roll Skillet. 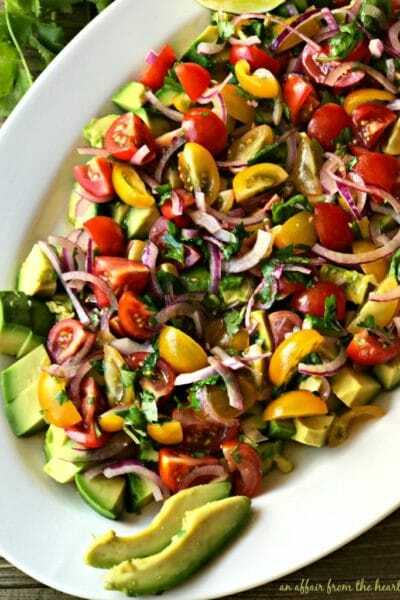 It quickly became a super popular recipe on my site. Who doesn’t love an Easy Weeknight Meal — well, anytime? 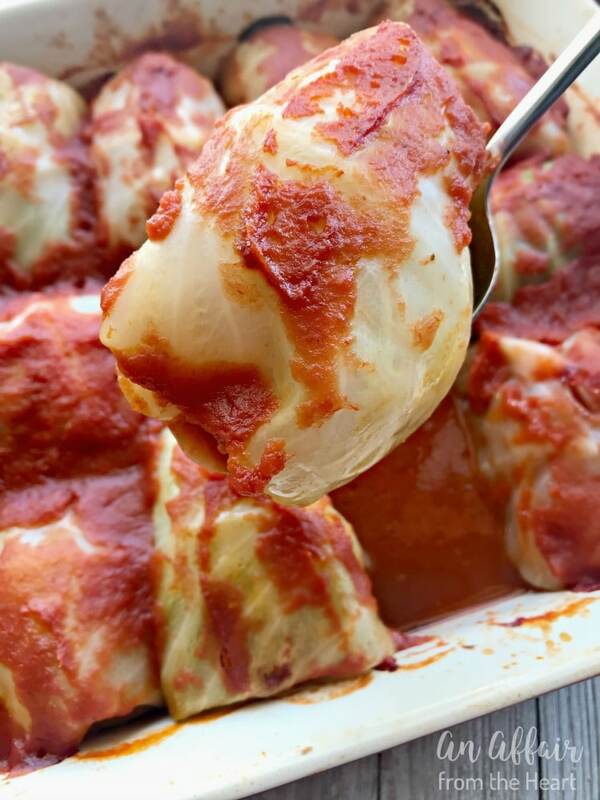 Unstuffed Cabbage Roll Skillet – Tastes just like cabbage rolls, but this unstuffed cabbage roll skillet is done in no time and perfect for weeknight meals! How does your family feel about cabbage? My buddy, Brandi, from Aunt Bee’s Recipes, has a recipe for Southern Fried Cabbage that her family loves, and it’s become a regular internet sensation – one of her top posts of all times. 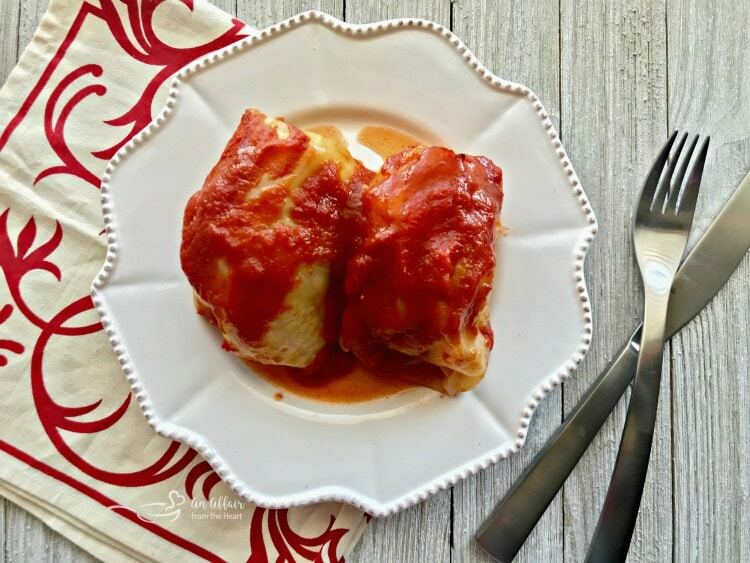 These cabbage rolls do take a little bit of time, but they are so worth it! Super tasty, and a pretty presentation that is also an economical meal. I cut the bottom off of the head of cabbage and drop it in a pot of boiling water to help the leaves separate easier. I used to try to take them off of the uncooked head, and it seemed they always ripped on me. As I am making my meatballs, I take each leaf off, as they loosen in the pot, with a set of tongs. Be carful — they are hot! 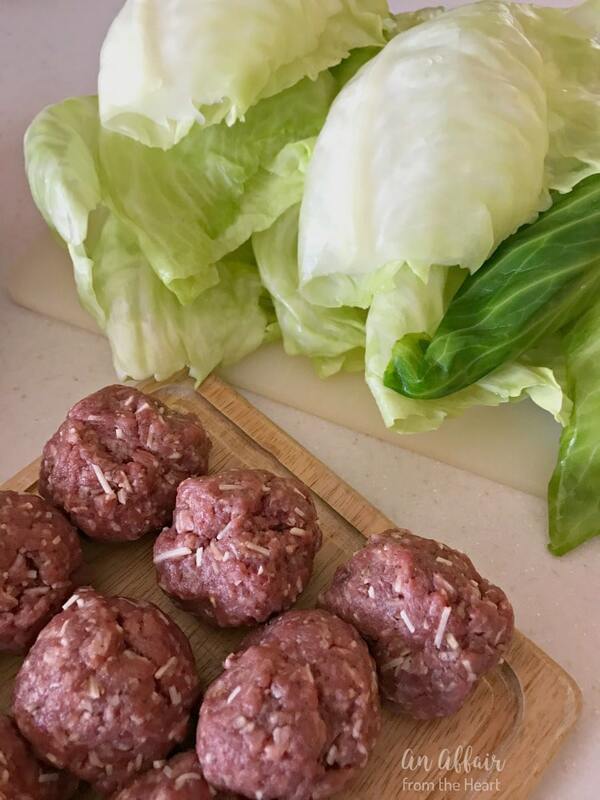 Place the prepared meatball at the bottom of the leaf (where the stem would be) fold the sides inward, and roll from the bottom up. Place seam side down in a baking dish. Pour tomato sauce over the top of the rolls, cover and bake for about 90 minutes. Dinner is served. No need for anything else ..it’s all right here, all in one pot! 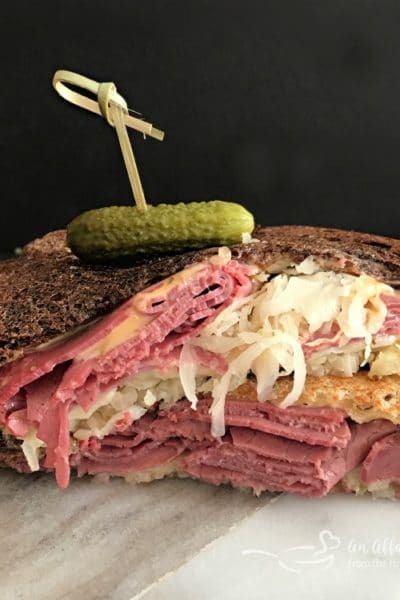 Here are some other great cabbage recipes: Cabbage & Bleu Cheese Soup, Copy Cat KFC Cole Slaw, Crunchy Asian Ramen Slaw, Inside Out Cabbage Roll Soup, Pickled Red Cabbage from Take Two Tapas, and Coleslaw Minus the Mayo from Lisa’s Dinnertime Dish. Let’s make some cabbage rolls! Prepare a covered deep baking dish with non-stick cooking spray. Set aside. Place a large pot of water to boil on the stove. Combine ground beef with rice, onion, cheese and spices. Form into 16 meatballs. Cut the bottom off of the head of cabbage and drop it in a pot of boiling water to help the leaves separate easier. (I used to try to take them off of the uncooked head, and it seemed they always ripped on me. ) Take each leaf off, as they loosen in the pot, with a set of tongs. Be carful -- they are hot! Pour tomato sauce over the top, cover and bake for 90 minutes. Wow, I’ll have to find Grandma’s recipe (I have it somewhere), but I think your cabbage rolls are really really similar to hers. She used to make a big pan and we would freeze them so we could eat them often. Thanks! 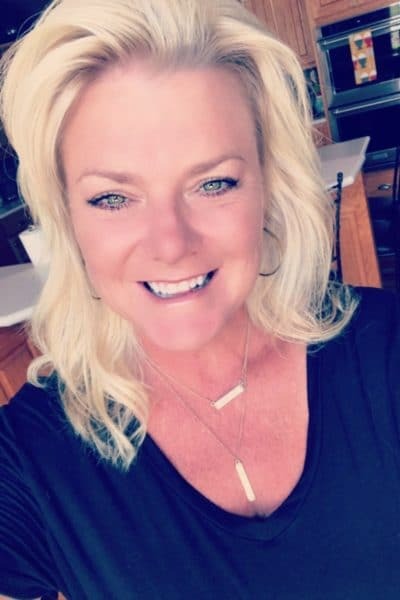 Debi, I would love to hear if they are? 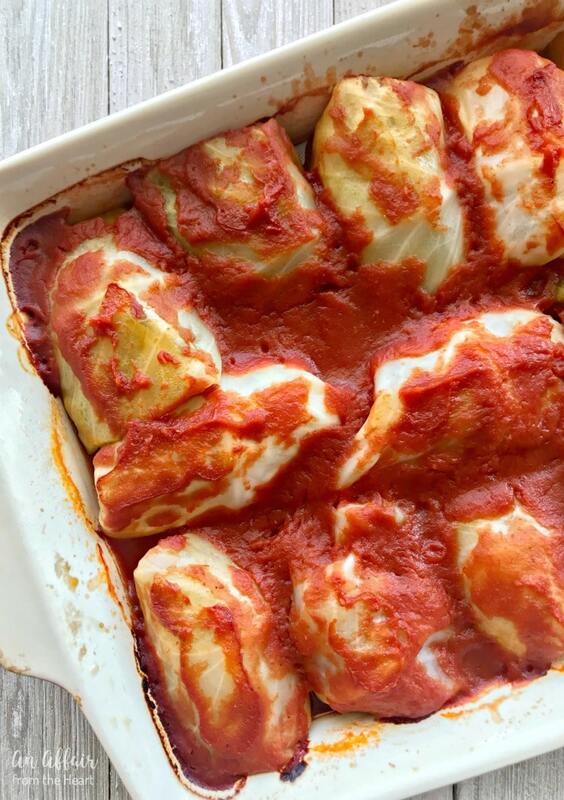 Cabbage rolls are my absolute favorite food in the world! I can’t wait to try your version! 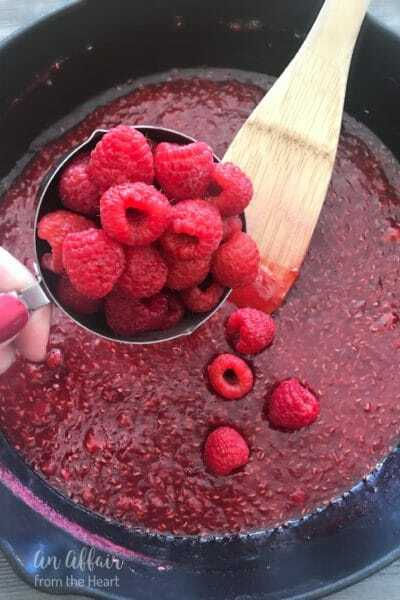 I try to email this recipe and it keeps giving me an insane “oops!” I KNOW my email address!!! In this particular recipe you don’t prepare the ground beef and rice first before it all goes in the oven? Oh okay thank you, wanting to try them today! I did make these for supper, only a minor tweak with sauerkraut mixed with the tomato sauce for the top and he loved them! Will be making them again. 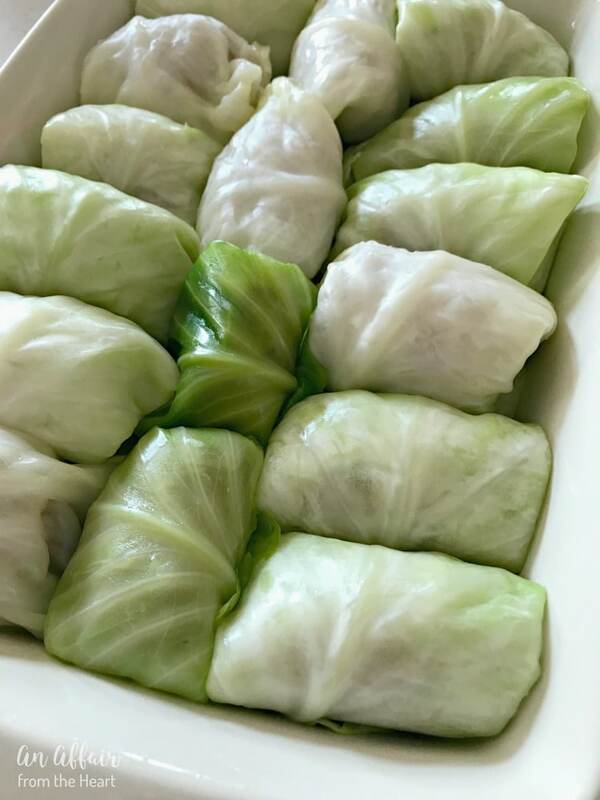 This is one of the most popular dishes in our family and the funny thing is that growing up as a kid, I wouldn’t go near anything with the word cabbage in it! 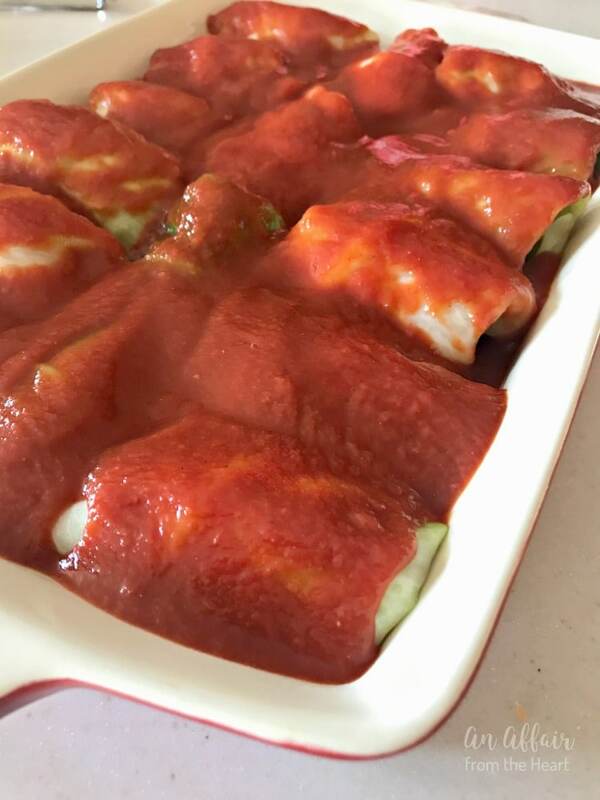 Your recipe for these cabbage rolls looks so good I think I can smell them, all the way to Wisconsin! I’m loving the idea of some Parmesan cheese added, like you did here. Fantastic job! 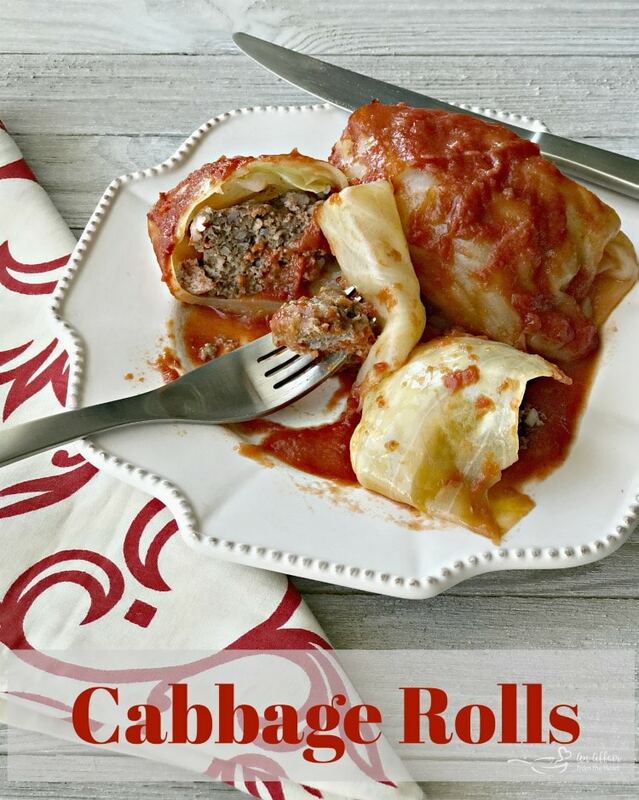 Can you believe I’ve never made stuffed cabbage rolls and I love cabbage! 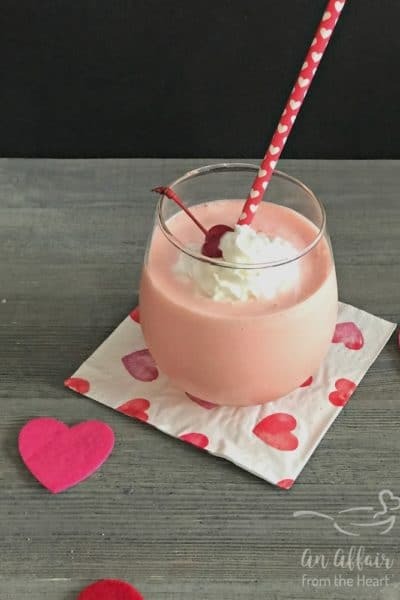 This looks like a simple recipe that I can make this week. Thanks, it looks delicious! I love cabbage but don’t make it often enough! These look so delicious, definitely trying them soon! My husband printed out this recipe and asked me to make it. Needless to say he LOVED it! … there wasnt one single bite left! 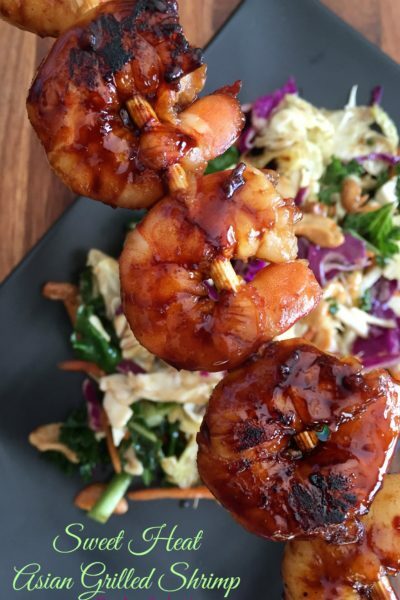 These look absolutely amazing and smothered in that sauce? Delish! Instead of tomato sauce, I use drained sour crout and pour over 1 cup of water then cook This is oh so good, Hope you try it this way.